It’s the most wonderful but the most dangerous time of year. Dangerous for our waistlines that is. I am a complete holiday FANATIC! I love all the traditions and spending time with my loved ones. The holidays also force us to change things up too because they’re all about the feasting, baby! As much of a fan of fasting as I am, it’s important to feast. This is why holidays and vacations are so great – because they force us to take time and eat MORE for a short period of time! People who have been the most successful with this way of eating are those who are constantly changing it up. A lot of my patients have observed over the years the importance of shaking up their routine and get a bit stressed out trying to figure out how. I’ve never stressed about in. Why? Because life happens. When things are normal, and I’m able to follow my daily routine, then of course I stick to my fasting regimen. But when life is wacky, I embrace it as a time to feast. The holidays are wonderful and wacky times for feasting! In this week’s blog post, I’m going to talk about some tips and tricks myself and my patients use to survive all the holiday parties. In addition to this week’s post, make sure you check out my guide to eating your holiday meal blog from Canadian Thanksgiving back in October. It’ll prevent you from snacking! Most of the people who join the IDM program after being low-carb or keto for so long without achieving their desired results think they need help because they must be doing it wrong. That’s rarely the case. So, what’s the issue? THEY SNACK! It doesn’t matter. Snacking on almonds or eggs or pickles is STILL SNACKING! Eat to feel full so you don’t snack away this holiday season. This is how myself and my patients avoid gaining weight during the holiday season even when their meals aren’t perfectly low carb or keto. Cutting out the snacks makes a HUGE difference! Don’t have time to have a meal? No problem! Have a fatty tea or coffee, or just eat an avocado! I always take a bar of 90% dark chocolate (anything 70% cocoa or darker will do) and break it up into pieces and put it in a container or a bag inside of my purse before a get together. Why? It makes other people more comfortable to see me eat chocolate and this way they don’t try to force feed me gingerbread cookies. I, also, don’t mind the chocolate either! Here’s my logic with this: Grandma sees you eating dark chocolate. Grandma thinks you’re eating a dessert, therefore, you must be happy. Grandma doesn’t spend hours trying to convince you to eat a piece of chocolate cake instead You enjoy the dark chocolate. It’s a win for everyone! When people see you eating chocolate, they immediately think you are indulging, which means you must be having a good time. Ha! How untrue is that, but it’s what people currently think. Sometimes it’s just easier to roll with it than try to defend yourself and your diet nonstop for several weeks straight over the holiday. Nowadays my friends and family are very supportive of my diet and many of them are following along. Also, I’m not afraid to tell someone where to go when they insist I eat chocolate cake, but it can be difficult in certain situations or you may be new to this way of eating. The chocolate is a good and yummy strategy to win the holiday season. A few years ago, before I got married and my in-laws weren’t entirely sure what I did for a living, my husband and I told the we had been experimenting with some desserts and asked if we could make one for Christmas Eve dinner at my mother-in-law’s. We made peanut butter fat bombs and they were a hit! We got to have a healthy dessert we loved, and we felt even better knowing they were downing coconut oil rather than refined flour. As wonderful as the holidays are, they’re also VERY STRESSFUL! Most of us think we can do a lot more than we can, and a few days before just want to rip out our hair. I always recommend people call the host of their holiday celebration about two days before the event and ask them if you can bring a meat and cheese tray, veggie platter or a side dish of bacon and bussel sprouts. I literally say those things. Why? They sound tasty and the host is likely to say ‘yes’ rather than ‘don’t worry about it’. I trick people into letting me bring food to their parties and holiday meals when they’re the most vulnerable. It works like a charm, and I always have back-up food at the event I know I can eat. I do this everywhere I go. Why? 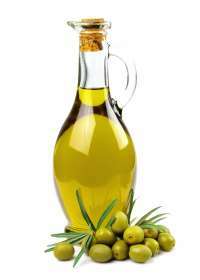 I can transform any low fat meal to a high, healthy fat meal with a bottle of olive oil. Steamed brussel sprouts and white turkey meat. No fat. No problem! I just pour about 3 tbsp of my favourite olive oil over the brussel sprouts and turkey breast, and now I have a high fat meal! Some people feel compelled to buy regular desserts for their families. I used to feel that way too. Now I don’t care, but it takes time to get to that place. So, what did I used to do when I felt pressured to feed people dessert? I bought carrot cake because I HATE CARROT CAKE. If you feel like you absolutely need to buy your relatives sugary junk, then make sure it is a sugary junk food that you HATE! I’ve been swamped with emails about holiday eating over the last few weeks, so we’re going to take a short break from the Women and Fasting series to talk about various ways to get through the holiday time. Next week’s blog will focus on ‘festive’ beverages. After that we will tackle sweeteners and holiday recovery plans before we jump back into the Women and Fasting series. I have always been the treat provider for family celebrations. Christmas especially. I usually bake everyone’s favourites. The problem: I am increasingly aware of how bad this stuff is for you, and I am hesitant to feed it to my family. They like and expect it. I feel like a drug pusher. How can I come to terms with bringing goodies (or should it be baddies?) to the Christmas dinner without feeling like I’m helping to create health problems? I feel the same way… making christmas cookies for gifts! I really love your articles – no-nonsense good concise advice. Please don’t stop writing them. Megan wonderful tips!!! !, really thank you for your time to us. I really needed this today. The Christmas parties started yesterday & I need a strategy this year. I absolutely love these tips. They’re truly genuine and helpful. Thank you! I also bring olive oil in my purse! All are great suggestions, thanks. Great post as I am preparing to go spend some company money on treats for the office and my Manager says, “buy some cheese and nut trays” as he knows a few of us are living the LCHF reality and loving it! Having this type of support is incredible. I always love your posts, so much good information and great ideas that I never thought of! Thanks for all you do. going to a high carb party tomorrow night. I am bringing the nuts. They, too, qualify. Thanks! I love this and follow a lot of these guidelines. The yucky dessert is hilarious! And…it works! How about one of those awful Christmas Cakes? What are they?